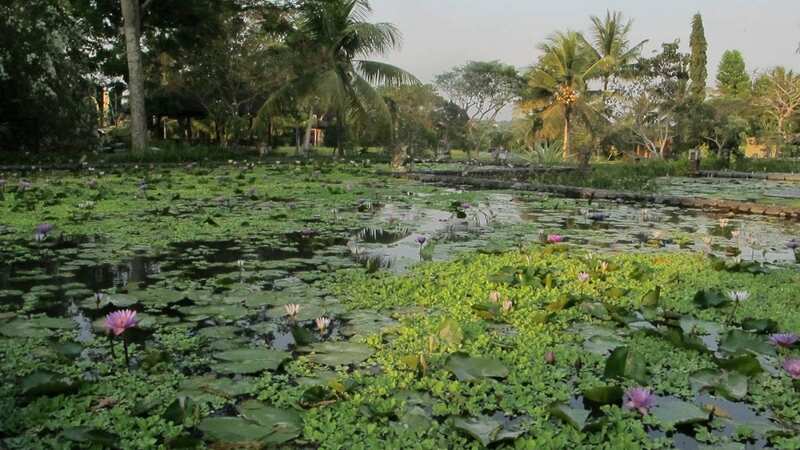 The Bali travel and tourism industry has developed a pace in the twenty years since a youthful Mark Bibby Jackson visited the remote village of Ubud, but have they changed for the better? 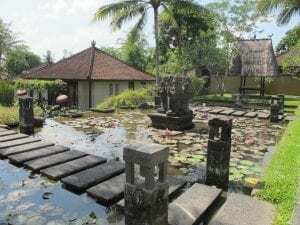 The Bali travel and tourism industry has developed a pace in the twenty years since a youthful Mark Bibby Jackson visited the remote village of Ubud, but have they changed for the better. Never go back. This truism applies as much to great holiday destinations as to failed relationships or any murder you may just happen to have committed. Now the doctors assure me that my days of multiple homicide are quite behind me, so relationship folly aside my greatest risk lies in trying to recapture a magical holiday experience that has become lost in faded images of time. June 1994. I was taking time off from a dusty office where people were planning a cross-London railway project, which to this day is not yet completed. Trekking through Nepal people told me that Bali was the place I just had to visit. “Ubud man!” and their eyes would start to frost over. While not quite the drug hazed hippy nirvana that Afghanistan and Morocco were in the 60s – and Kathmandu still was at the time – Ubud possessed a spirituality that was quite unique. Wondering through its quiet streets, the only noise was that of the wind blowing through the bamboo charms dangling haphazardly from wooden ceilings, occasional cow bells and the ubiquitous Balinese rindik music that seemed a prerequisite for any green café. Fast forward twenty years and I find myself standing on the side of a congested street, choking on exhaust fumes while trying to make out which of the seemingly endless stream of SUVs and minibuses was my hotel pick-up. Twenty years ago my greatest danger was an unwashed piece of lettuce, now carbon monoxide asphyxiation seemed a real possibility. I felt in desperate need of the mystical, restorative powers of ice cold Bintang beer. 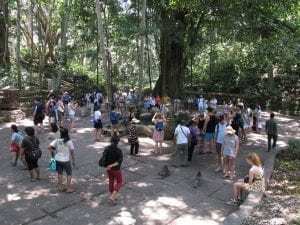 Somehow Ubud’s charm had become collateral damage in the mad and seemingly unregulated scramble for tourist dollar and yuan. Fortunately, it is not all this way. Despite the frenetic growth of the Bali travel and tourism industry in the intervening twenty years you can still find pockets of charm amid the diasporic chaos. Wandering along the main road from the Monkey Forest, where tourist line up to take snaps of the cheeky animals trying to nab bananas amid the now neglected temples, to the main temple, I stumble upon a familiar name. Hidden among the signs inviting me to purchase Giordano, RipCurl, Ralp Loren and most sadly of all Starbucks, is Café Wayan a mainstay of mine in the previous millennium. Cafés such as Wayan offer secluded oases at the rear where you can stretch out on daybeds and enjoy some gado gado or nasi goring. The occasional hoot of a motorbike the only evidence that much has changed in the intervening 20 years. The manager explains that Wayan has stood here for 29 years. Her name is also Wayan, but she laughs when I ask whether she is the owner – the name apparently is as popular in Bali as Jones is in Wales. Like Ubud, Café Wayan has changed with time, a large garden extension to the rear and the addition of cookery classes – a concept that was as alien as mobile phones, Facebook and Karaoke TV in the mid-90s – indicate that business is good. Wayan refuses to comment when asked directly whether she thinks the increasing popularity of Bali travel is a good or bad thing. For her extra money just means greater funds to donate at one of the island’s many ceremonies. Today is the Day of Metal, where people make their pilgrimage to the nearest temple to make blessings to all things metallic. Some of the cars are adorned with garlands, seemingly impervious to the fact that today is their special day – unfortunately they are not given the day off. Sadly, it seems the one commodity that was granted freely to us at birth has now become a rare privilege for the few. I feel most fortunate. The resort was the private estate of architect Hendra Hadiprana, one of Indonesia’s most respected art collectors. Ten years ago though still owned by Hadiprana, it was transformed into an intimate retreat with twenty individual villas by hotel group GHM. The rooms still contain his own eclectic collection of art, giving it a unplanned charm that you just do not find in today’s motif-driven corporate resort chain designs. But for me the real charm lies on the periphery. 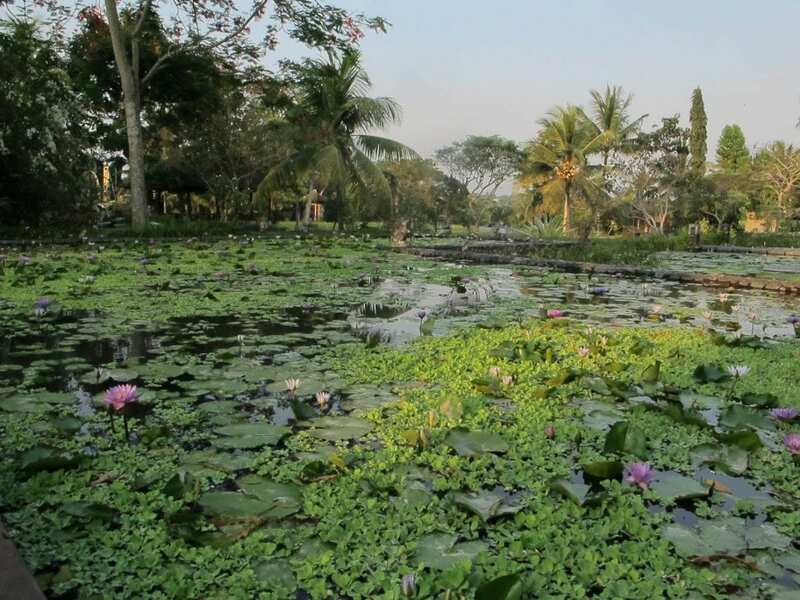 The resort is surrounded by acres of paddy fields that have been left untouched by developers since Hadiprana took over his plot of land in the early 80s. This is Bali’s real attraction, what made it so unique, and still does, albeit in much smaller doses than before. Whereas previously I could just wander off any street and find myself engulfed by rice stalks, now tour companies are offering special excursions to visit them. I admit to feel saddened when I left Ubud to return to the coast, although chatting to my driver on issues as wide ranging as the effect of diabetes on the Asian population, the optimism he has for the new Indonesian prime minister and the future he wants to provide for his children, I realise that not all change has been for the worse. Bali is also home to the premier festival of the word in Southeast Asia. Read more about the Ubud Writers and Readers Festival 2018. Bali has never truly been about the coast – at least not the stretches of beach around Kuta where even twenty years ago bronzed Australian men would walk around bare-chested carrying a surf board under their right arm as if in some primal mating ritual. Now, staying at the Chedi Sakala, just across from the beach at Tanjung Benoa I am amazed by the chaos in the water at this major water sports destination. Air-borne inflatable lilos compete with banana boats and speedboats for naval supremacy, while the sands themselves become a mere access route for things more dramatic. Spoilt for choice, I elect instead to head along the coast to Finn’s Beach Club, Uluwatu, where the Chedi Sakala’s general manager, has promised that I will have a special time. During mid afternoon the beach is filled with like minded people, but as the sun starts to set and the heat is removed from the sands, the fading light starts flickering on the ocean waves. I order a margarita as the staff create a bonfire on the now deserted sands and ponder what was. At least some experiences are indeed timeless. 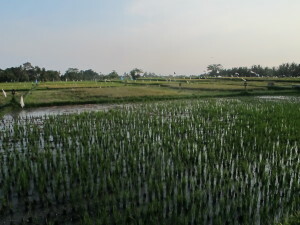 Typical of a tropical island Bali’s temperature does not vary much dry season is from April to September, with monthly highs ranging from 34C in April to 30C in August. The main difference lies in the amount of rainfall. During the rainy season from October to March average rainfall can reach 35 cm, while during the dry season of April to September average rainfall drops to 3cm. However, the climate can be unpredictable and it’s best to check up on the weather before you depart. The local time is the same as throughout Indonesia – GMT + 8. There are no direct non-stop flights from UK to Bali, but various major airlines (Malaysia Airlines, Thai, Singapore, Emirates, etc) fly via Singapore, Kuala Lumpur, Dubai or Bangkok. Air Asia has daily direct flights to Bali Ngurah Rai International, Denpasar from Bangkok, Kuala Lumpur and Singapore. 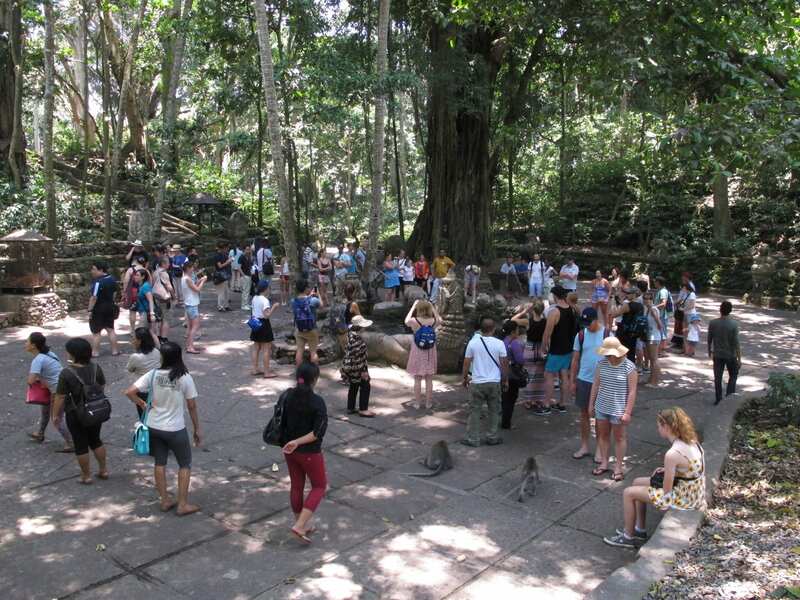 For UK Government’s advice on Bali travel, including visa requirements, click here.